This black matte 218-CI009587 features a brilliant color imaged design incorporating the h-d bar & Shield logo and motorcycle. Comes packaged in an environmentally friendly gift box. 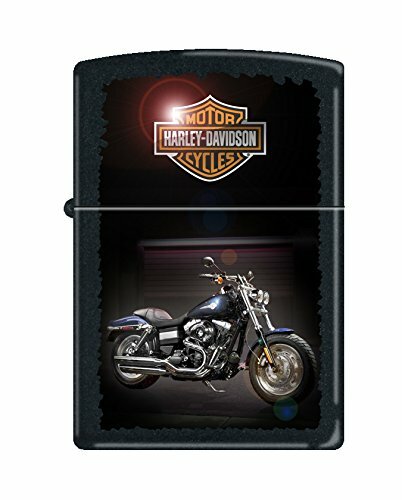 For optimal performance, fill with Zippo premium lighter fluid.